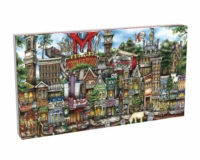 12″ x 18″ limited edition print version of hand painted image of the iconic pubs and landmarks in Columbus, OH that surround Ohio State University. SKU: COLOHPR. 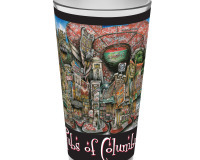 Categories: College, Columbus, Ohio State, Print, Print, Town. 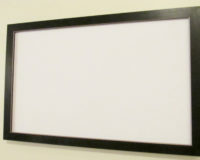 Click image to get more detail. 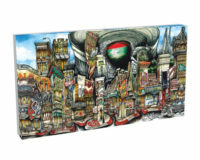 Depicts your favorite haunts like: McFadden’s, The Library Bar, Mama’s Pasta & Brew, The Little Bar, The Thirsty Scholar, Bodega, Too’s, Eddie George’s Grille, Ugly Tuna Saloona, Larry’s, Callahan’s, Hounddog’s Pizza, Park St Tavern and more! 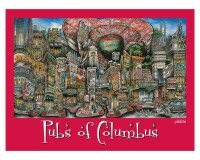 Be the first to review “pubsOf Columbus, OH print” Click here to cancel reply.